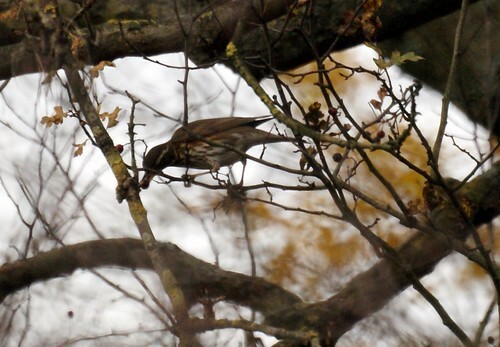 Nature Magnified: Redwings not Song Thrush! In my previous post I mentioned seeing flocks of Song thrush on Blackberry hill. They were`not really Song thrushes. 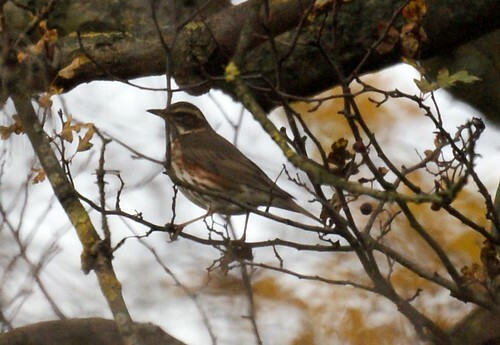 Yesterday and in the past week as I was Bird snapping, I could see flashes of red as birds flew pat in the trees, but they were too fast for me to pick out, and when I scanned the trees they landed on, I almost always spotted what appeared to be song thrushes. I didn’t really know of the existence of Redwings so I couldn’t make the differentiation. It was while going through random bird blogs that I sotted the name Redwing. I looked it up and to my surprise it looked exactly the same as a Song thrush! The difference is of course the red colour under their wings which you can see if you look closely in the photos here. The white stripe above their eye is another distinctive feature. They are also slightly smaller than song thrushes. The redwings are thought to be native to Scandinavia and are nomadic migrants, which means they may visit one place this winter and may be in a completely different country next winter. 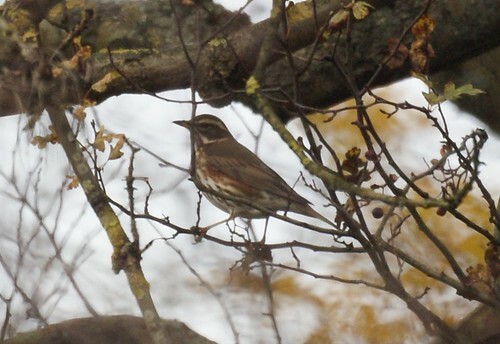 This also means that this may probably be my first and last redwing season on Blackberry hill. I`m really thrilled at having spotted them while they were there.